The complications of legal issues, paperwork and permissions to be obtained are best left unexplored and handed over to the experts who have a firm grip on handling these hurdles knowing just how to get everything done well within time. The legal technicalities just appear out of the corner at the strangest of hours, and we believe that these are issues you shouldn’t lose sleep over. To see that your wedding is a peaceful, memorable affair, you could hand over these obstacles over to us. 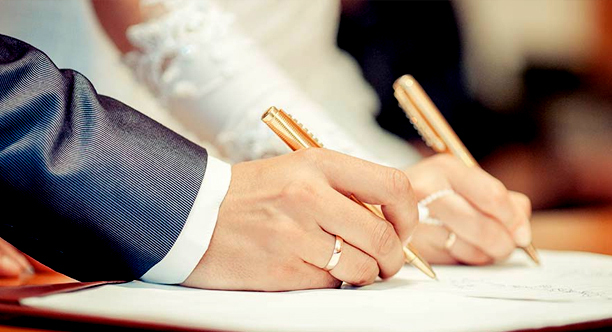 By looking over the legal aspect of every single proceeding in the events leading your wedding, we not only dispel any complications or trouble that is bound to rise but also make it easier for you since you will not have to worry over these details which will, if allowed, occupy your time and money. Leave it to us, your wedding planners, to ease burdens and coordinate procurement of required licenses as well as the permits for your big day.